It's difficult to be prepared for every single mess life is going to throw at you, unless you have a Refresh Your Car! To Go Pouch. These handy pouches allow you to sanitize, protect, and refresh your car wherever you are. 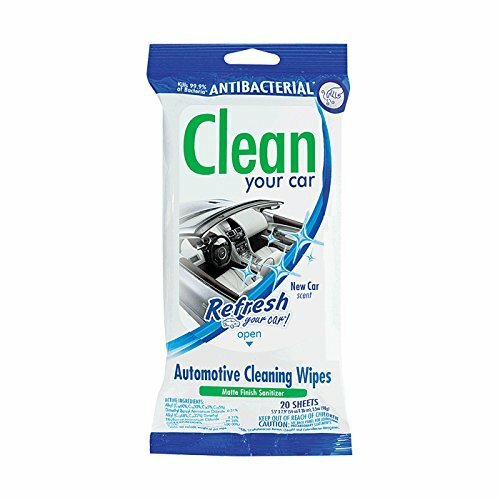 Refresh Wipes remove ground-in dirt, dust and grime for a natural finish while eliminating odor-causing bacteria. The New Car scent is a masculine yet fresh and clean scent suitable for any vehicle. The New Car scent brings you back to the day your car was new and fresh off of the line. If you have any questions about this product by Refresh Your Car, contact us by completing and submitting the form below. If you are looking for a specif part number, please include it with your message.